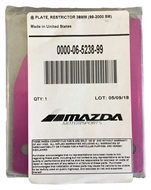 Mazda Motorsports restrictor plates for SCCA and NASA SpecMiata competition. Available in 38mm (0000-06-5239-99) and 40mm (0000-06-5240-01) sizes per the rules. "1.8L cars must use an air restrictor plate. 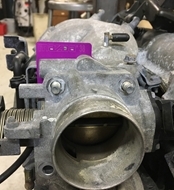 The restrictor plate must be placed between the throttle body and plenum. All intake air must pass through the restrictor plate. 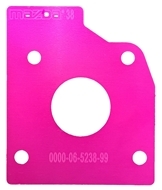 Restrictor plates must be the proper size as listed in the specification table, must be from Mazdaspeed Motorsports Development or from SCCA Enterprises, and must not be modified. An OE (or equivalent) gasket shall be used on both sides of the restrictor plate." 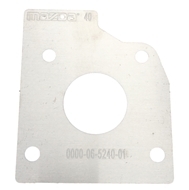 Refer to GCR page 566 for official listing of size of restrictor plate for your year of car. We have listed the legal restrictor plate sizes per model year for your convenience. It is the competitors responsibility to validate the numbers for their model year car via the GCR. Price is for Qty (1) restrictor plate. Protect your expensive radiator! 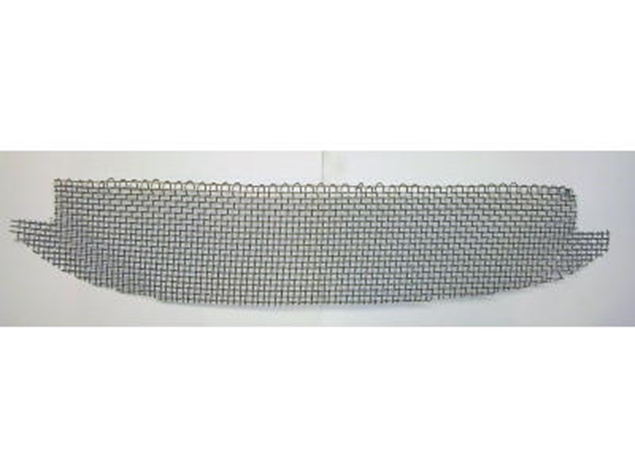 Stainless steel 1/4" mesh grille cover that fits in the stock Miata grille opening and will protect your radiator from on track debris. Adjustable drop links for the 1990-2005 Mazda Miata. Made from Aluminum and anadized in red. 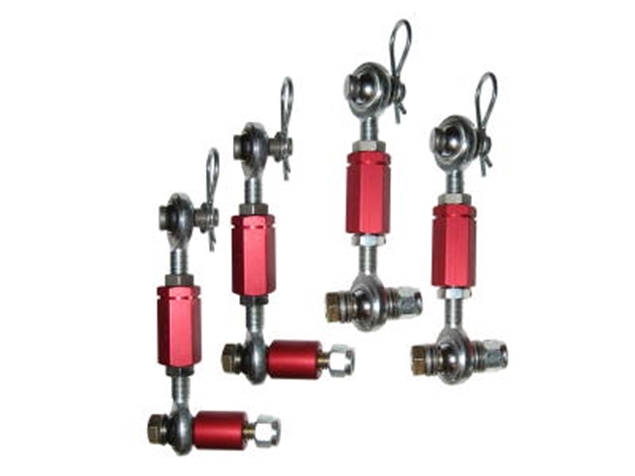 This kit is complete with 4 adjustable drop links. The perfect size window net for the SpecMiata! 17" x 21.5" mesh style window net that meets the latest SFI 27.1 rating.